MR is a powerful modality. At its most advanced, it can be used not just to image anatomy and pathology, but to investigate organ function, to probe in vivo chemistry, and even to visualise the brain thinking. However, clinicians, technologists and scientists struggle with the study of the subject. The result is sometimes an obscurity of understanding, or a dilution of scientific truth, resulting in misconceptions. This is why MRI from Picture to Proton has achieved its reputation for practical clarity. MR is introduced as a tool, with coverage starting from the images, equipment and scanning protocols and traced back towards the underlying physics theory. 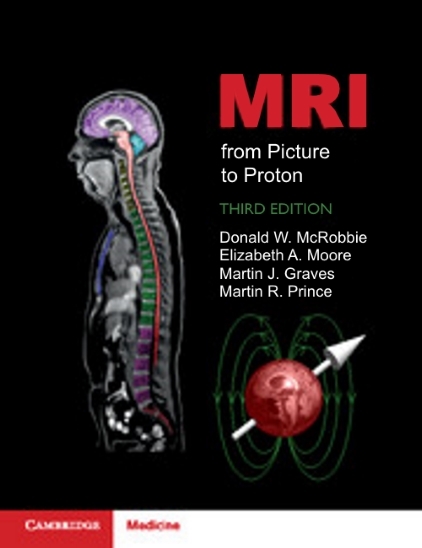 With new content on quantitative MRI, MR safety, multi-band excitation, Dixon imaging, MR elastography and advanced pulse sequences, and with additional supportive materials available on the book’s website, this new edition is completely revised and updated to reflect the best use of modern MR technology.